If your pharmacy isn't able to accept this savings card and provide instant savings, eligible patients* can receive the savings by downloading the rebate form to print and mail, along with your pharmacy or treatment receipt and a copy of the front of your Savings Card. Good for out-of-pocket expenses up to $125 on your 3.75 mg LUPRON DEPOT prescription after the initial $10 co-pay or up to $250 on your 3-Month 11.25 mg LUPRON DEPOT prescription after the initial $10 co-pay. AbbVie Inc. reserves the right to rescind, revoke, or amend this offer without notice. 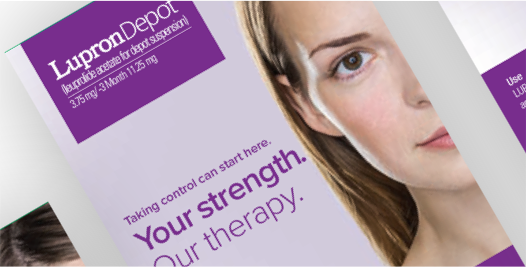 LUPRON DEPOT is a registered trademark of AbbVie Inc. You may not combine this offer with any other rebate, coupon, free trial, or similar offer. 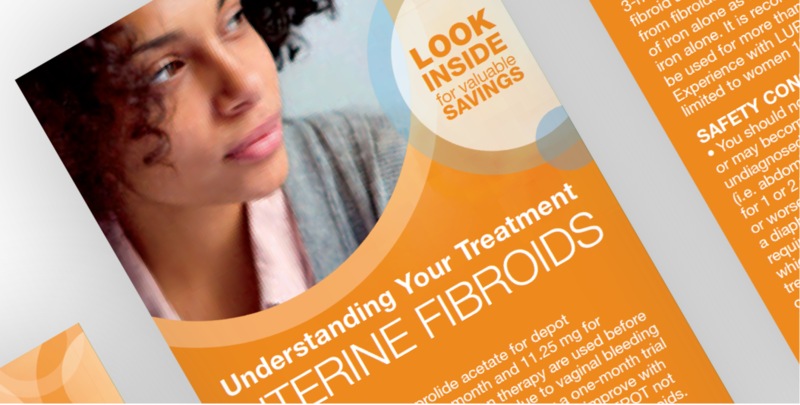 Learn about LUPRON DEPOT for anemia prior to uterine fibroid surgery. Request LUPRON DEPOT 3.75 mg 1-Month Samples. If you have questions or experience any difficulty requesting samples, please reach out to AbbVie Sampler at: 1-847-938-96961-847-938-9696 or DTP@abbvie.com. 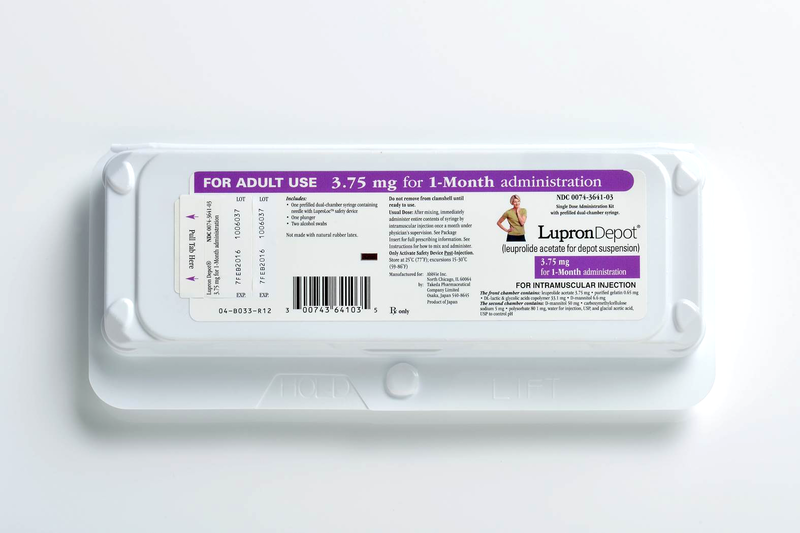 Information and tools to help your patients access LUPRON DEPOT. AbbVie partners with two Hub Services Partners, RxCrossroads and AbbVie Insurance Specialist, to help streamline the LUPRON DEPOT and Add-back* procurement process. *Norethindrone acetate 5 mg daily. †Eligibility restrictions may apply. 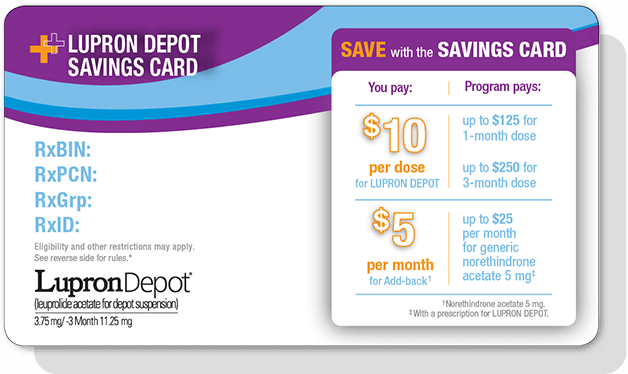 See LUPRON DEPOT or LUPRON DEPOT + Add-back* Savings Card for details. †Eligibility restrictions may apply. 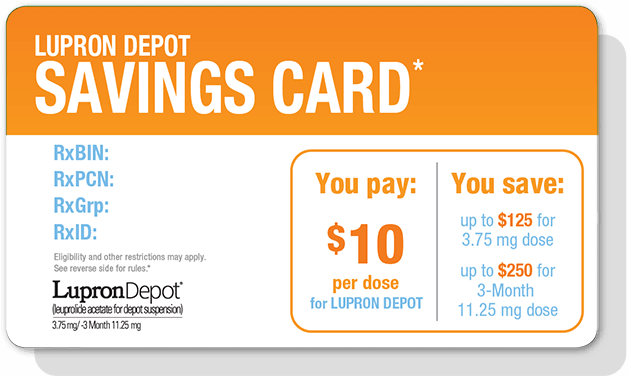 See LUPRON DEPOT or Add-back* Savings Card for details. 5. Management of endometriosis, including pain relief. Reduction of endometriotic lesions for LUPRON DEPOT. A time-saving tool for submitting prior authorization (PA) forms for many specialty drugs covered under most drug plans.